Campaign season has gone into full swing, but I just had to do a birthday post for our special princess. Lily Ann is 12 years young today! As a retired greyhound, she works hard to sleep as often as possible on as many soft, cushy surfaces as she can. Couch? check. Bed? check. Lots of blankets and pillows? ….well, you get the idea. 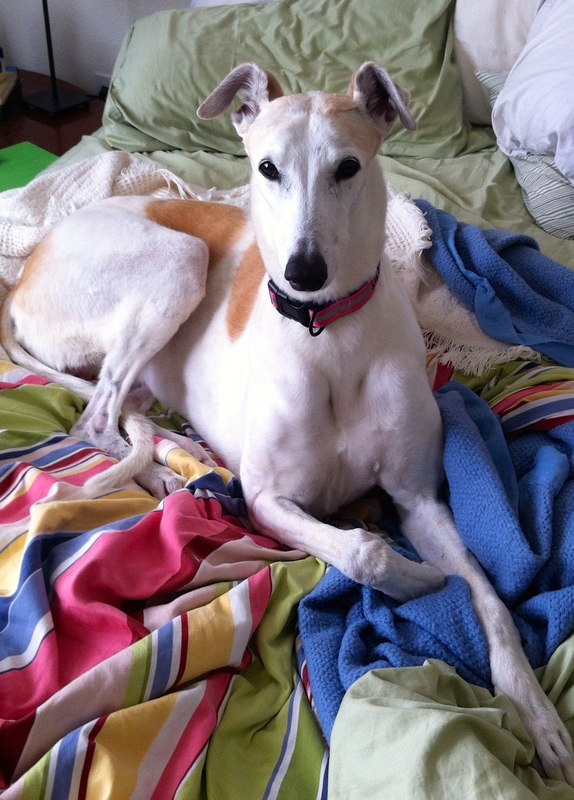 This entry was posted in Family and tagged Happy Birthday Lily, rescue greyhounds. Bookmark the permalink.